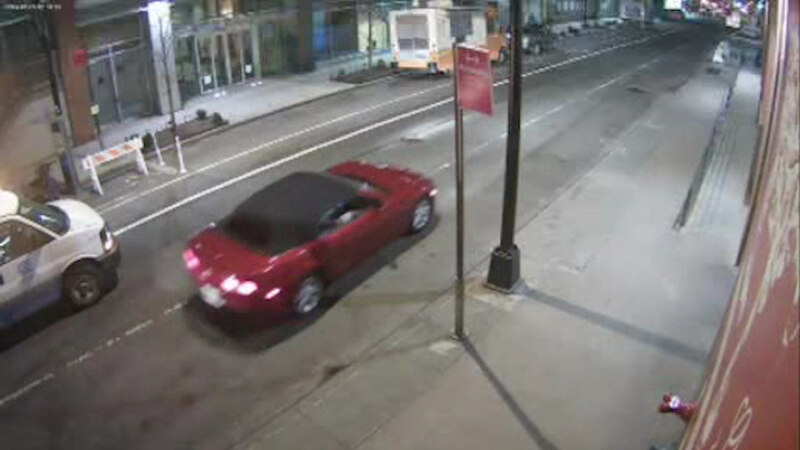 CHELSEA, Manhattan (WABC) -- The NYPD is trying to identify a flashy red car and its occupants who are accused of impersonating cops in order to sexually assault and rob a woman in Chelsea. Police say two men in a Camaro signaled to a 67-year-old woman to stop her vehicle on West 16th Street on February 29th. The suspects identified themselves as police officers. They then sexually assaulted the woman and stole her purse before fleeing.